Can a DUI affect Visa Restrictions? DUI or drunk driving convictions can negatively affect your ability to obtain a visa for travel to the United States and potentially result in a denial of a visa application. In cases where an applicant has received a DUI conviction, the United States government will refer the applicant for evaluation by a panel physician. This evaluation is required in cases where an applicant has had one conviction within the past three calendar years or two convictions in their lifetime. The applicant may also be evaluated by the physician for current signs or symptoms of alcoholism. Section 212 of the Immigration and Nationality Act (INA), makes inadmissible any person with a mental disorder who is deemed to a threat or potential threat to themselves or others. Section 212 makes inadmissible any applicant who is a drug user or addict. 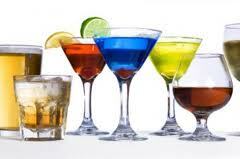 Alcohol abuse or addiction is included in Section 212 regarding inadmissibility. Applicants should disclose any DUI or alcohol related arrest on their visa applications. Failure to disclose a DUI or alcohol related arrest is considered misrepresentation and will result in admissibility. DUI convictions can also have negative consequences on citizenship applications. A foreign national receiving a DUI while traveling in the United States can have an immigration hold placed on them. The individual may also be deported at the conclusion of the DUI court proceedings. Our law office frequently receives phone calls from family members of individuals who have immigration holds due to criminal arrests while in the United States. Contact Top San Mateo DUI Attorney Thomas Greenberg to learn more. This blog is for informational purposes only. Reading or responding to this blog is not intended to create, and does not create an attorney-client relationship. Do not act based upon this information unless you consult with an attorney first. Please consult with an attorney for case specific information. You may contact the Law Offices of Thomas Greenberg at (650) 242-0021 for case specific information.